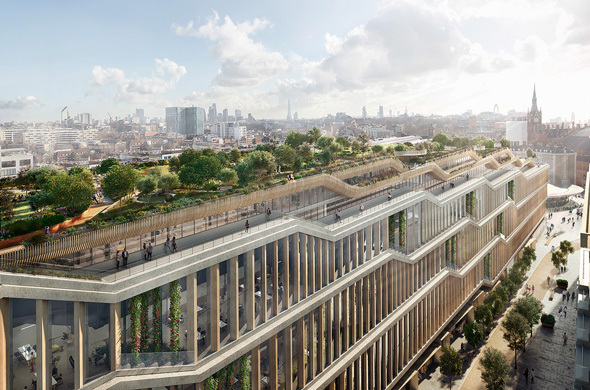 Due to its status as the finance capital of the world and as a gateway to Europe not long ago London was the clear choice for every technology entrepreneur seeking to open marketing offices. London is still considered a friendly environment for entrepreneurs thanks to state and municipal support and English being the spoken language, and London-based companies are not jumping ship just yet. But companies just starting their operations in Europe no longer consider London their default choice. European cities are chasing young startups not just because of their industrial contributions. Startup organizational culture dictates the leasing of large and well-designed offices in city centers, promising not only the generous payment of municipal taxes but also the recruitment of a highly educated and highly paid labor force. Startups also generate a need for very attractive jobs, from lawyers, investors and finance experts to designers and media editors. The result is a population ecosystem that is very much desired by large cities, since it creates an active nightlife, a culinary boom, rising housing prices and a demand for quality education. The battle for startups is held on two fronts: the first is the desire of countries to develop a local technology scene, and the second is for the privilege of hosting a company's first European branch. This holds true for multinational conglomerates like Amazon as well as for a new startup with only 20 workers. Israeli entrepreneurs are at the center of the European battle for startups. While Israel does have an extremely successful and vibrant startup scene, young companies cannot reach out to the global market from an office in Tel Aviv. Typically, Israeli startups open their first overseas branch as soon as they have a prototype they can market. 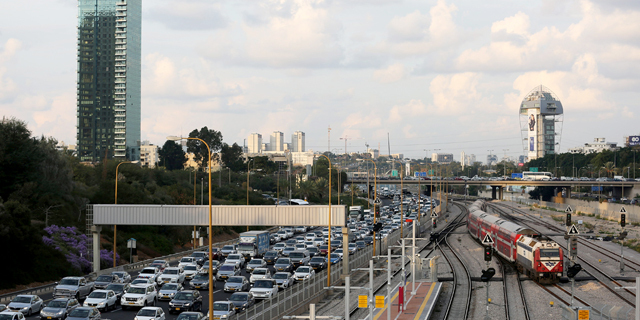 London and Berlin are the two most attractive European cities for entrepreneurs, who also have the most aggressive marketing strategies, Eytan Schwartz, who is in charge of the global development of Tel Aviv since 2011, told Calcalist. "They send their teams to every convention in Israel, Europe and the U.S. They work very hard to strengthen and maintain their brand.” By brand, Mr. Schwartz refers to the way these cities are perceived by potential entrepreneurs. Since almost every European country today offers attractive benefit packages to prospecting tech companies, the differences in the city’s image become more central. Take Germany, for example. Major industrial centers are located just outside of Berlin; Frankfurt is considered Germany’s fintech capital; Hamburg is a center for media outlets and Munich and Stuttgart are central to the automotive industry. The communal work spaces that WeWork has made popular are now evolving into mega-campuses that provide young entrepreneurs with a complete ecosystem. Occupying huge spaces, they have on-site accelerators, communal and private work spaces, and they even host events and programs. One of the most talked-about mega campuses is Station F, launched this summer in Paris in an event attended by French President Emmanuel Macron. 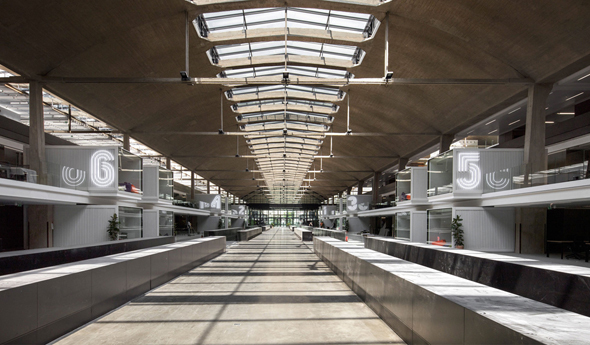 Station F is said to be designed to host a thousand startups. It was founded by serial entrepreneur and billionaire Xavier Niel, who invested millions in its renovation. With more than 110,000 square feet (34,000 square meters) and 3,000 tables, Station F is also host to 10 venture capital funds. Another example is Factory Berlin in the city's fashionable Mitte district, launched in 2014 by entrepreneur Simon Schaefer. Among its tenants are Twitter, SoundCloud and Pinterest. More surprising competitors from around Europe are trying to use their unique advantages to pursue entrepreneurs. “Lisbon, for example, is branding itself as a sunnier, cheaper alternative to Berlin,” said entrepreneur Eze Vidra, founder of Techbikers. “The government is trying to attract startups to relocate to Portugal with different tax benefits, a strategy that worked well for cities like Dublin, in addition to hosting tech conventions.” This is likely the reason behind Mr. Schaefer’s decision to open a mega-campus in Lisbon in December, with aid from the the local municipality and tech industry. Following political changes, in the first half of 2017 France surpassed the U.K. in capital raised for startups, with fundings of approximately $2 (€1.7) billion compared with $1.9 (€1.6) billion in the U.K. and $1.5 (€1.3) billion in Germany. Europe still lags behind the U.S., where the scope of funding for that time was $13 billion. A good example is Poland, where the main efforts today are invested in attracting investors and building a local ecosystem. Poland is attempting to brand itself as the innovation capital of Eastern and Central Europe. It is doing so by emphasizing the World Bank’s optimistic growth forecasts, the fact that by the end of 2016 there were 2,700 active startups in the country, and the birth of Poland’s first unicorn, ecommerce platform Allegro, sold last year for $3.25 billion. Keren-Or Grinberg contributed to this article.